Project seeks, trains, and creates a platform for cooperation and inclusion for deaf and blind artists.The objective of the project is to help deaf and blind people from Telšiai and Liepaja regions who are interested in theatre to work together. A performance will be created by a mixed cast of deaf and blind actors, focusing on promoting deaf and blind creativity. By integrating both sign and spoken languages, this performance will attract large deaf, blind and hearing audiences including both professional and nonprofessional actors. Project partners will introduce a new style of theatre to the deaf and blind people in Klaipėda, Panevėžys, Šiauliai, Telšiai, Utena, Kaunas, Kurzeme, Latgale, Ziemgale regions. Performances created within the project will give deaf and blind artists a creative and artistic home. They will be able to see their own lives and experiences reflected on stage. 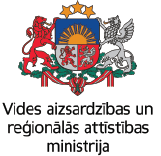 Non-profit organization "Latvian society of blind people"